Renewing Night Conditioner (formerly Rhythmic Night Conditioner) is an oil-free nighttime treatment that restores a healthy balance to all skin functions and appearances - from life and color to hydration and glow. 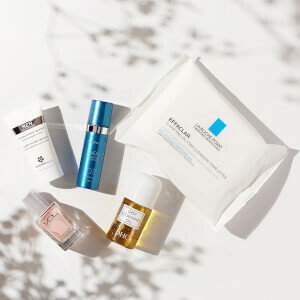 By mimicking the skin's natural twenty-eight day cycle of renewal, you're just a few steps away from healthier, happier skin. Ideal for all skin types, especially dry, mature and fatigued skin. Apply one ampule at night after cleansing. This treatment should be done during the change of seasons or period of change in your life. White Lilly and Rose Petal Extracts restore harmony and balance to the skin. Aloe Extract helps to soothe and heal irritation. Love the rose petals extract on the skin. It is refreshing and soothing. A wonderful way to treat tired and congested skin.